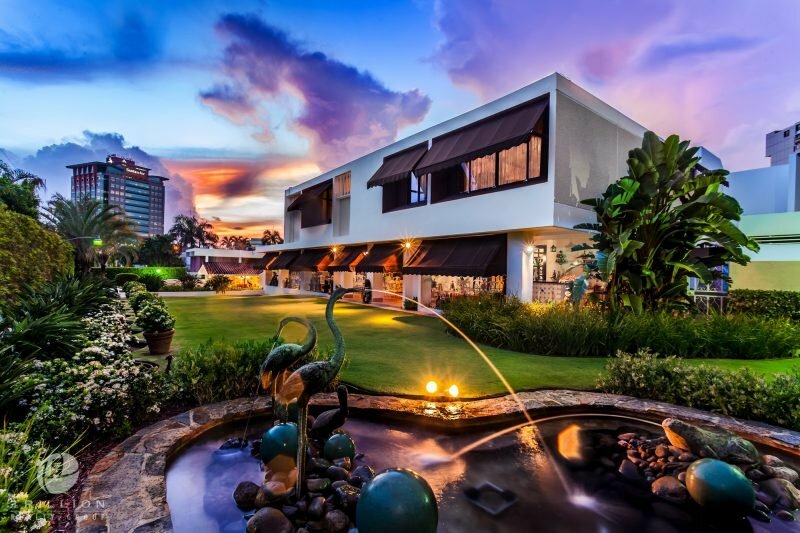 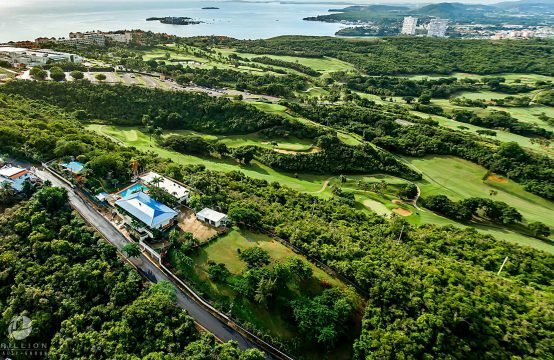 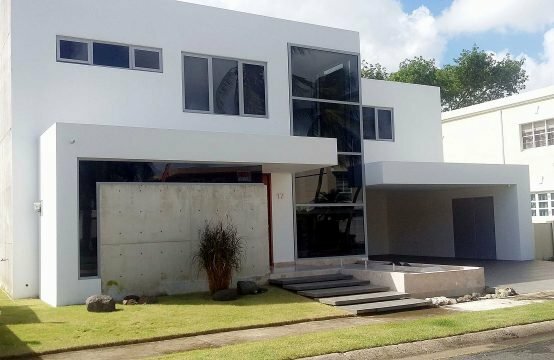 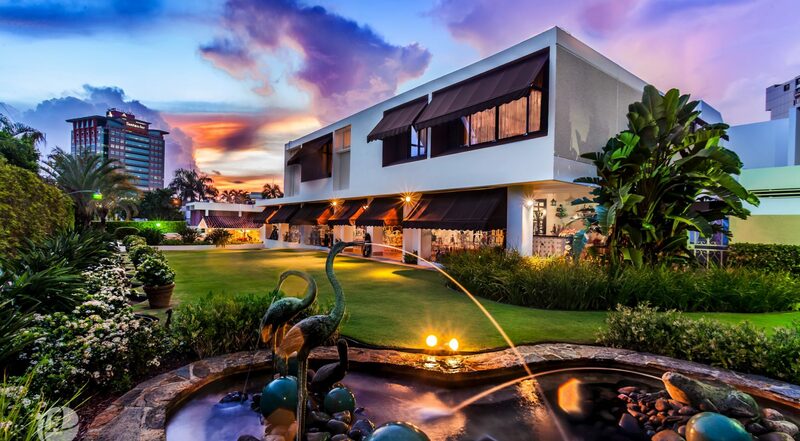 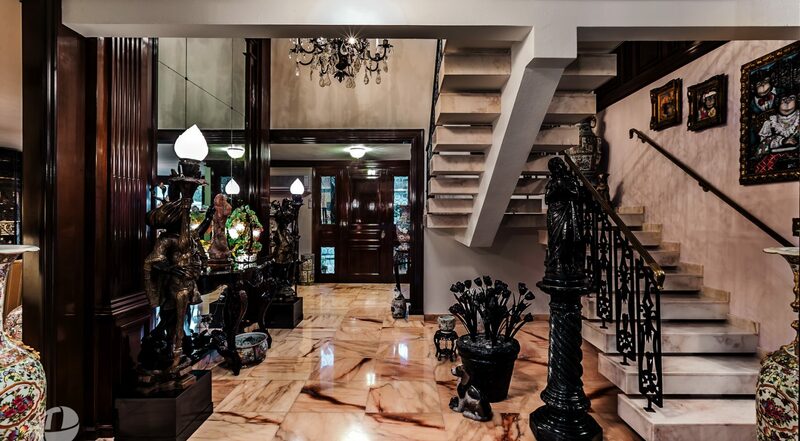 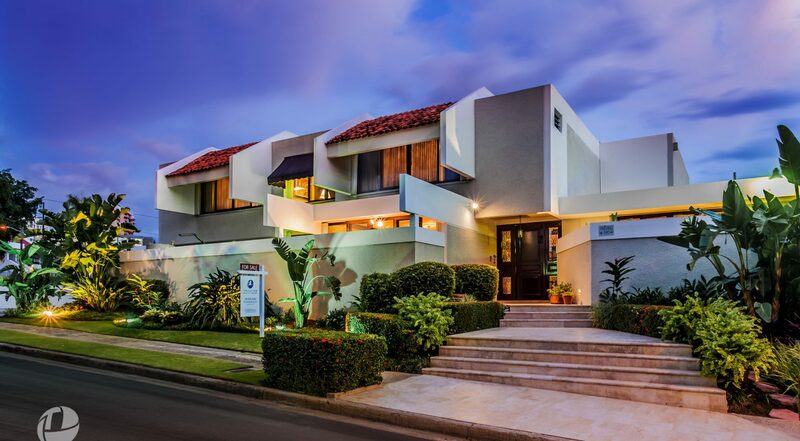 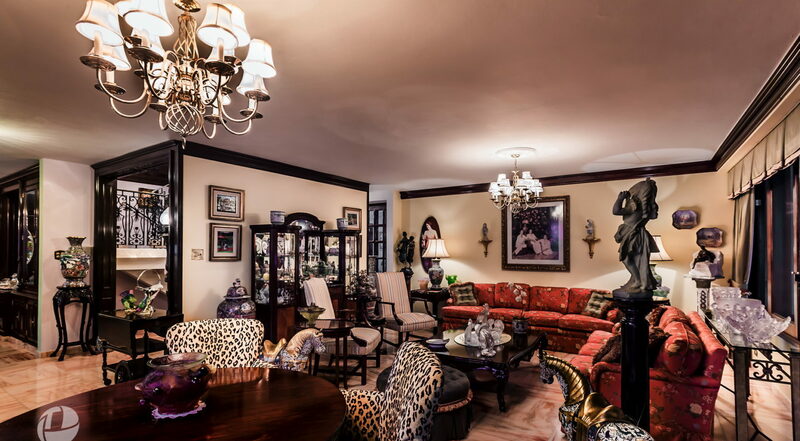 Located in the San Patricio District, one of the most sought after locations of Guaynabo’s gated communities, this sublime two stories home with magnificent high ceilings, has a gross living area of 4,059 square feet and a lot of 1,705 square meters, offering a unique privacy and lifestyle. 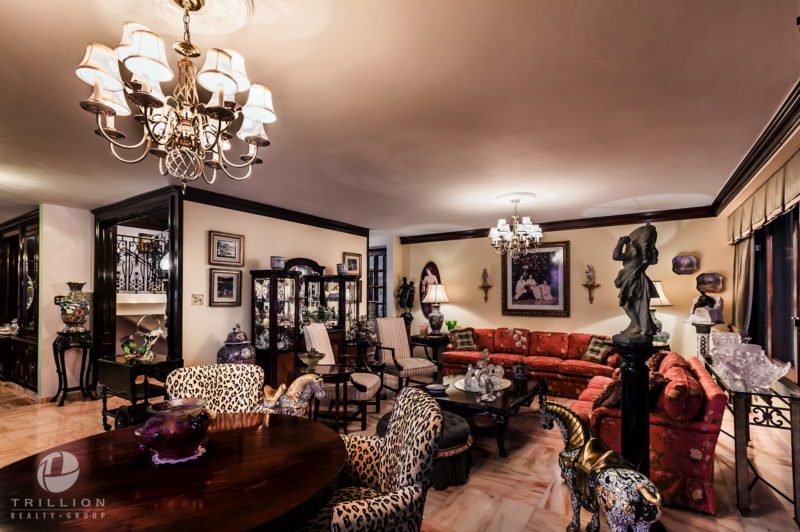 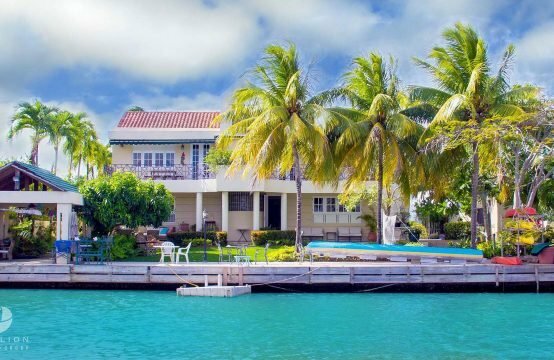 There are 5 bedrooms, 4 bathrooms, a powder room, a separate service quarters with a full bathroom, two-vehicle enclosed garage and a gated driveway with parking for approximately four cars. 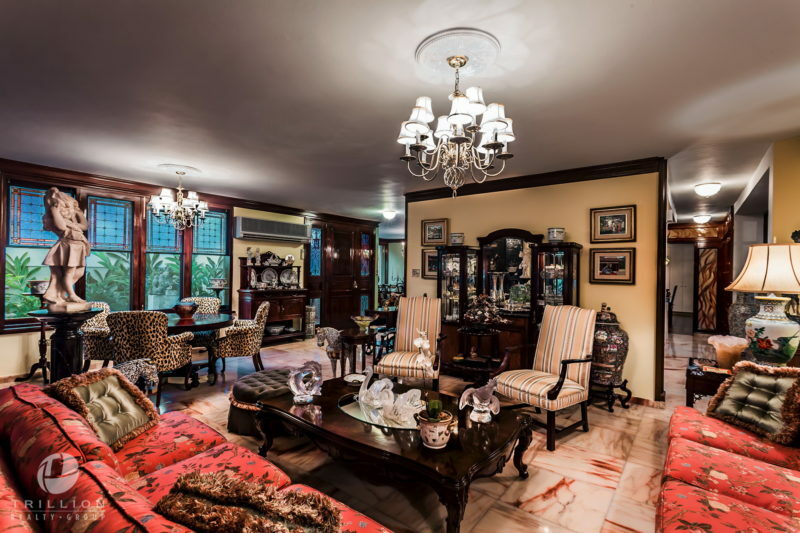 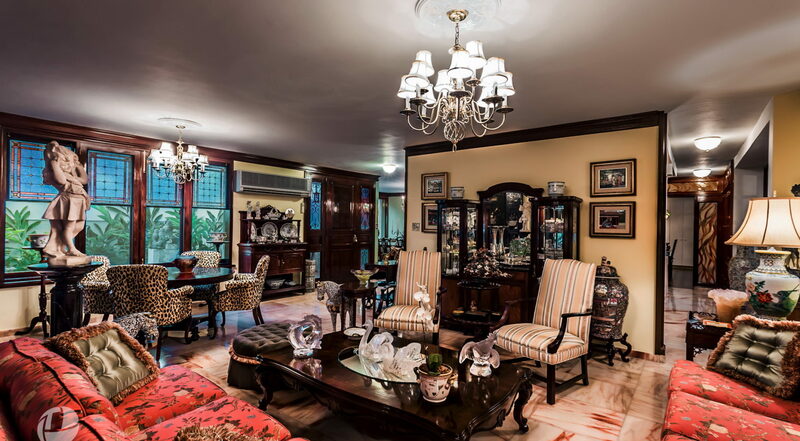 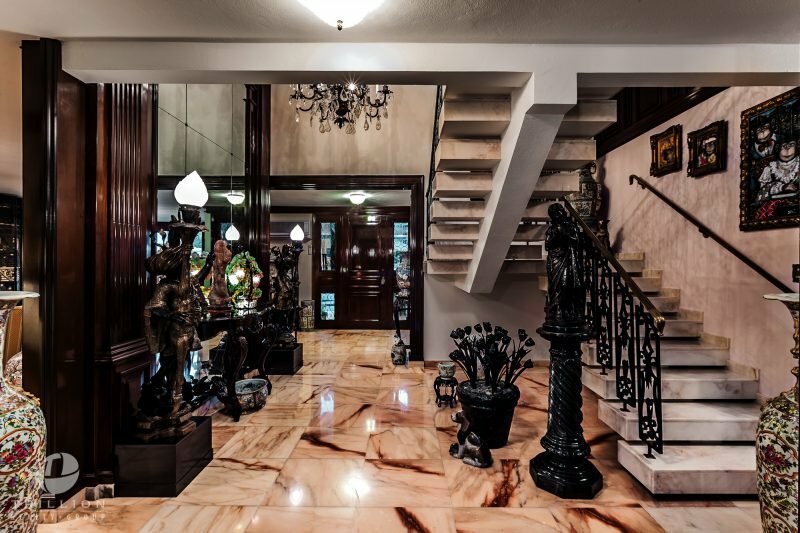 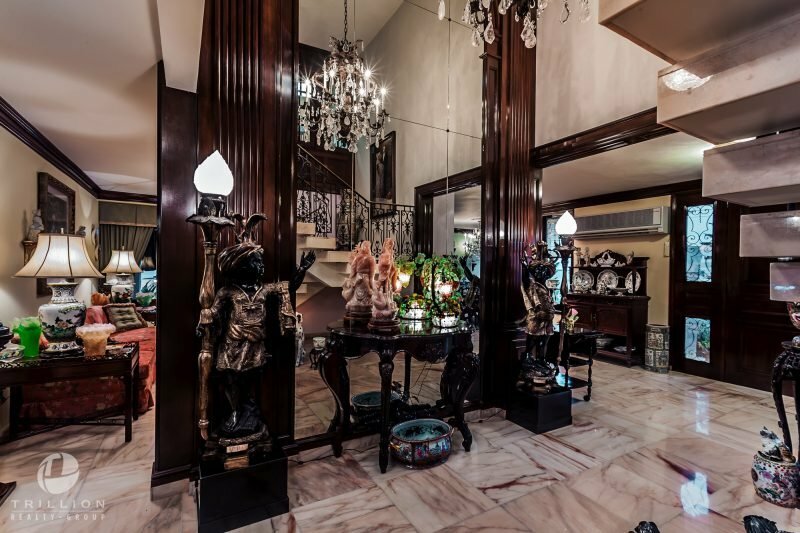 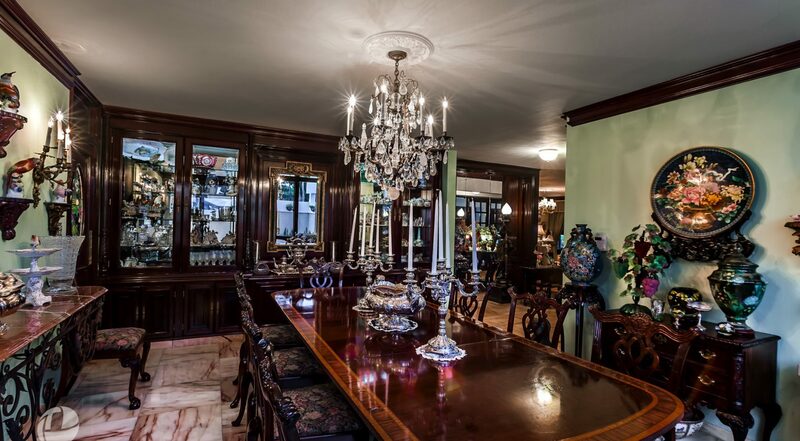 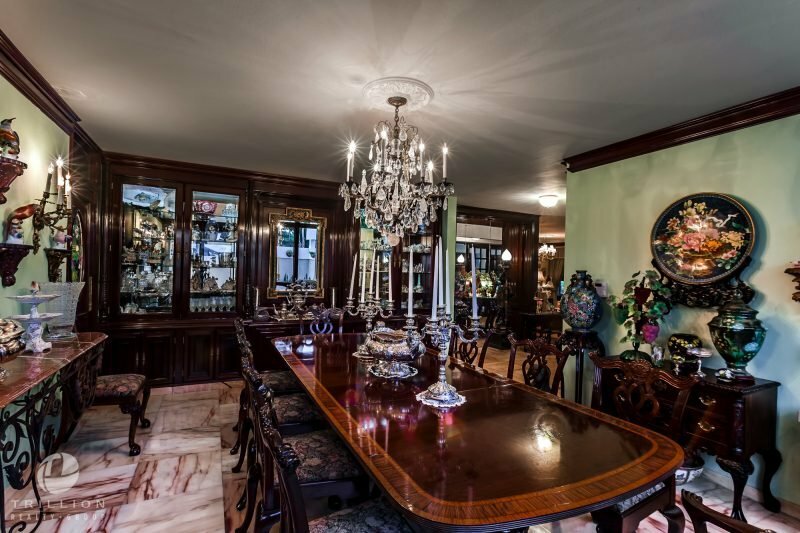 This luxurious property offers enormous charm and exquisite and meticulous attention to details. 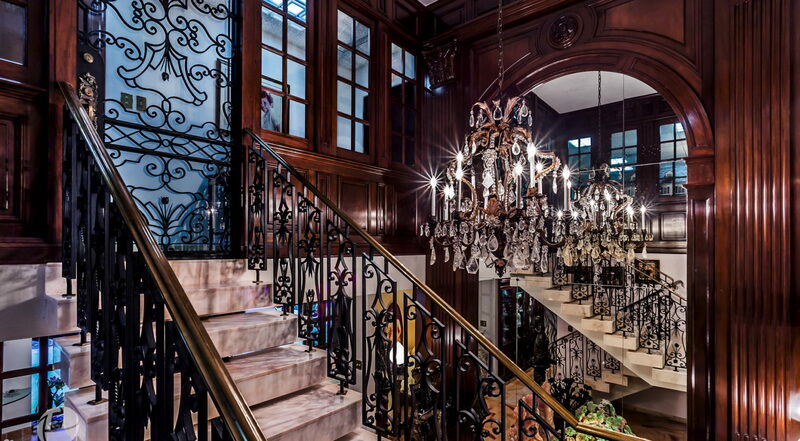 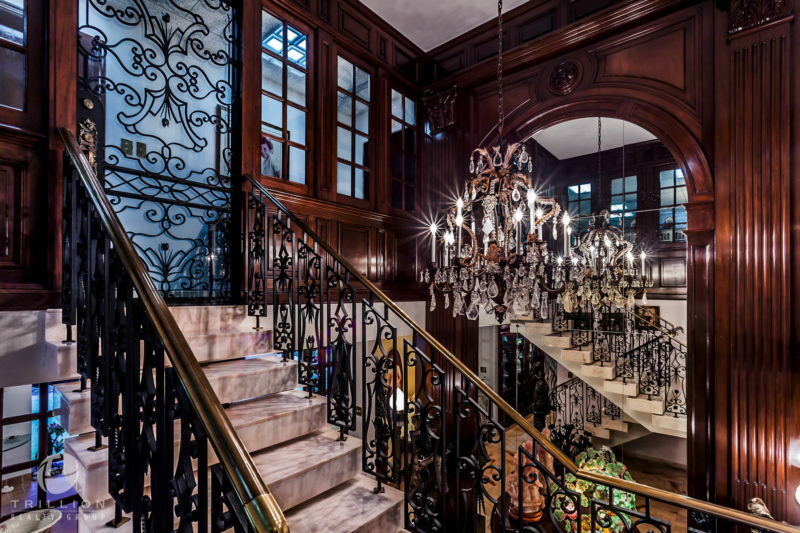 This home supersedes all expectations of elegance. 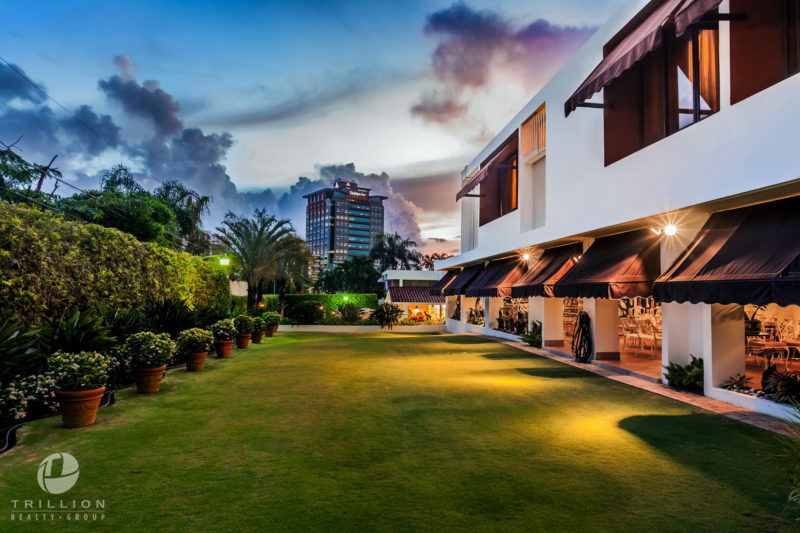 The garden with its luxuriant vegetation blends perfectly with the property’s style. 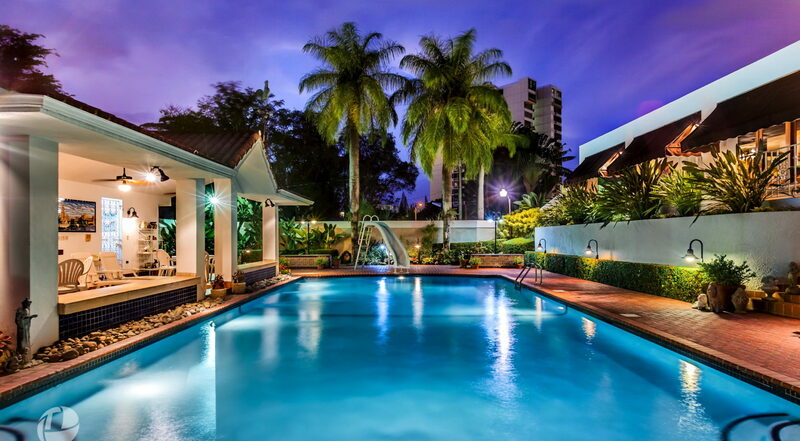 The property is surrounded by perennial and mature gardens planted with a large variety of trees and different flowers, and refreshing fountains. 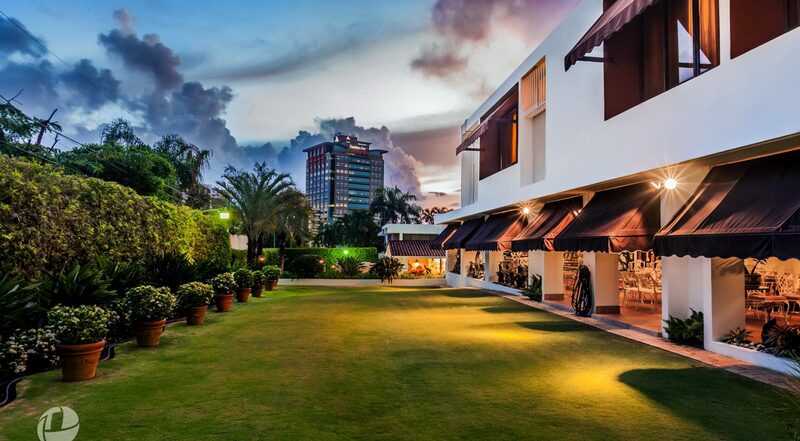 Exterior bar and barbecue invites for wonderful entertainment in a relaxed ambiance. 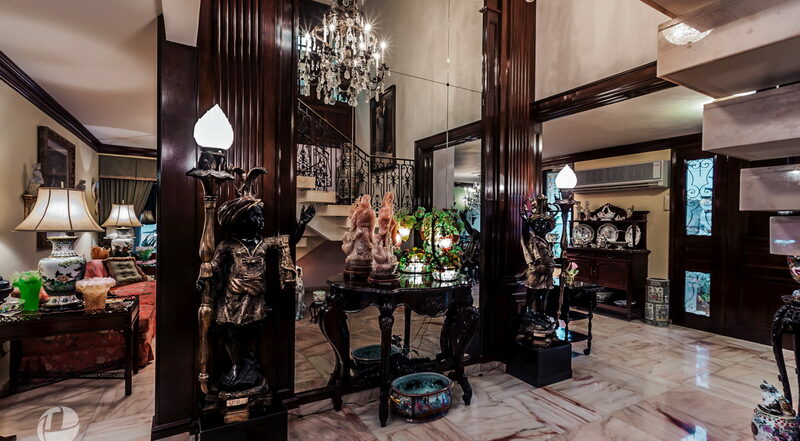 Interior details to note include pristine marble flooring, stained glass windows and doors designed by renowned artist Eddie Ferraioli and handmade Italian tiles. 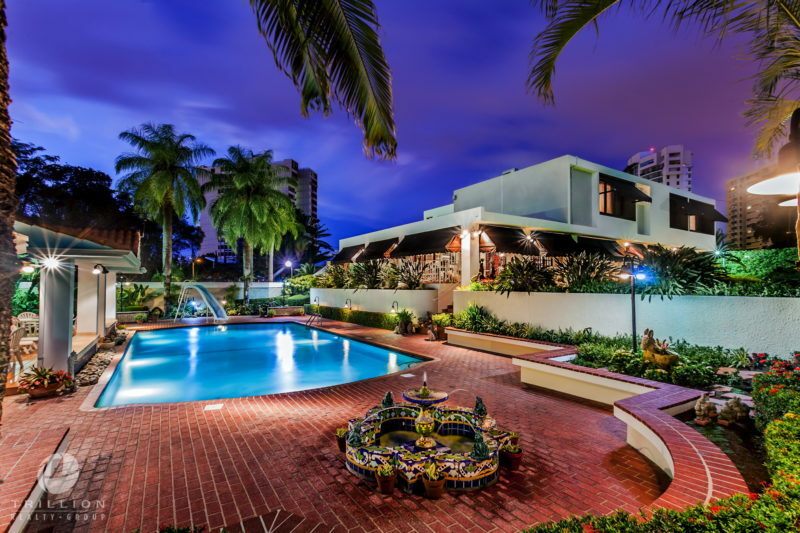 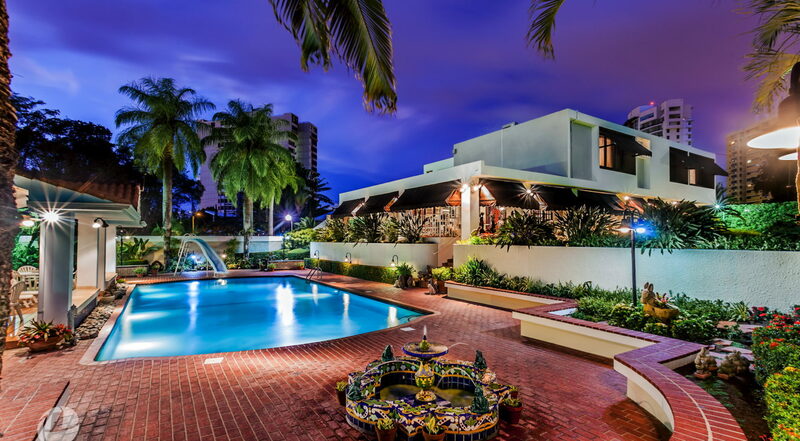 A large classically styled swimming pool is one of the highlights of this iconic house. 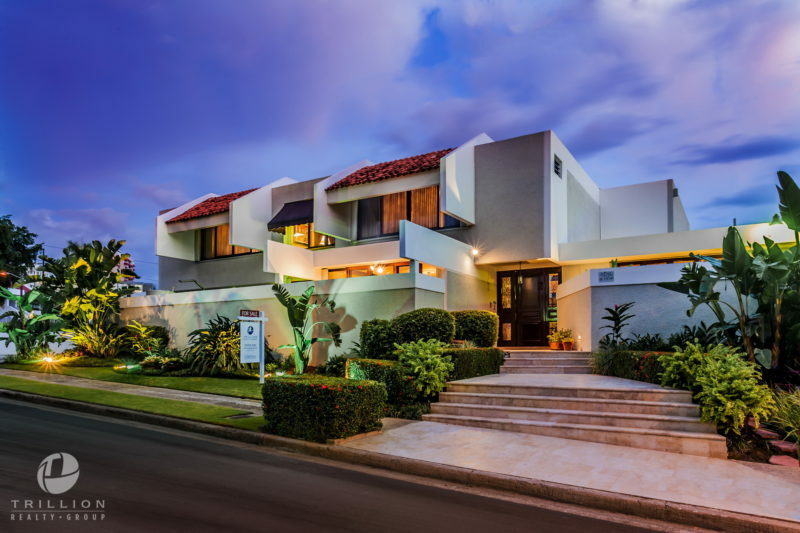 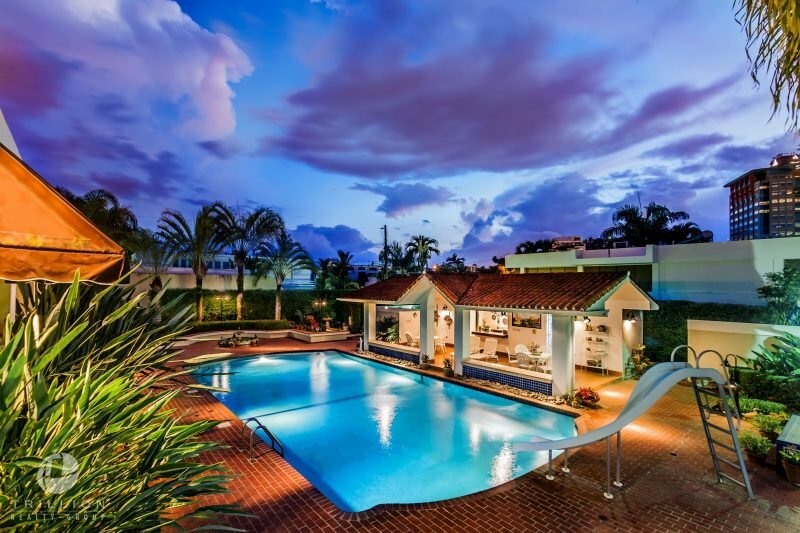 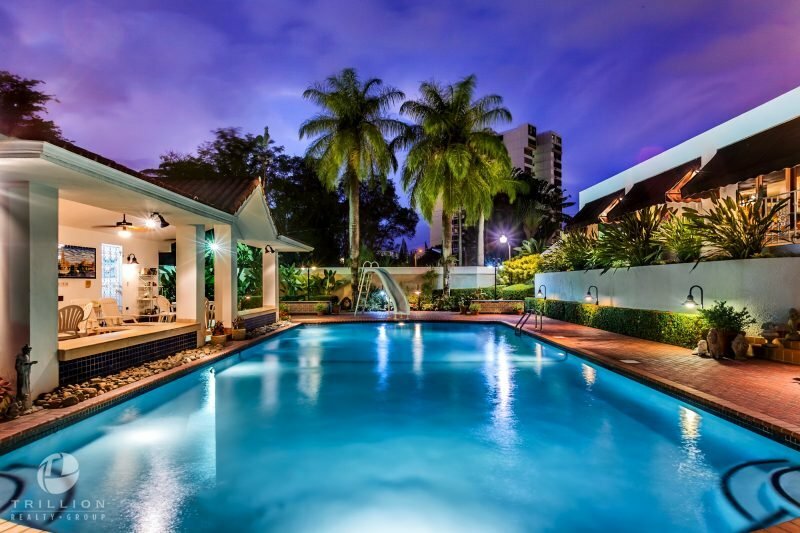 For your convenience there is a 50 KWA’s emergency power generator to supply all needs of the property, security system, state of the art security cameras throughout, and access to the community’s tennis courts and walking trail. 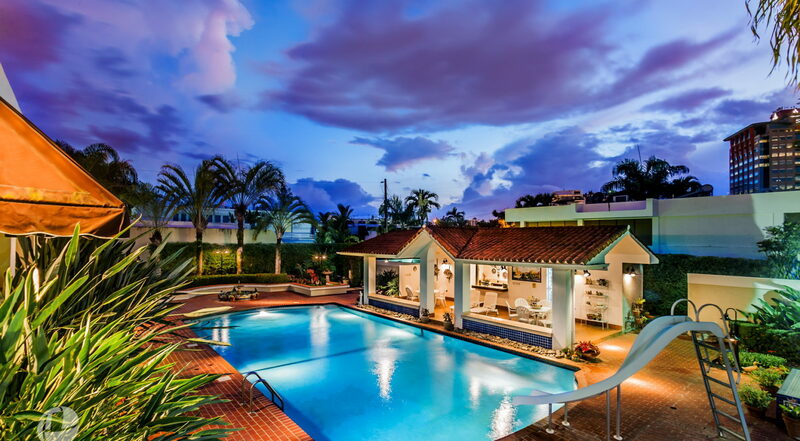 Don’t miss this one of a kind opportunity.